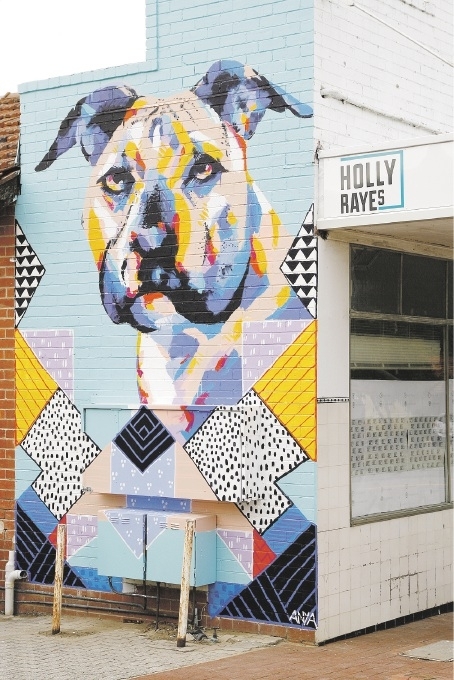 Owner Holly Irving enlisted the help of artist Anya Brock to paint a large mural of her pet dog Angus to brighten up the side wall. �We�ve always loved our Angus and now Bassendean can fall in love with him too,� Mrs Irving said. 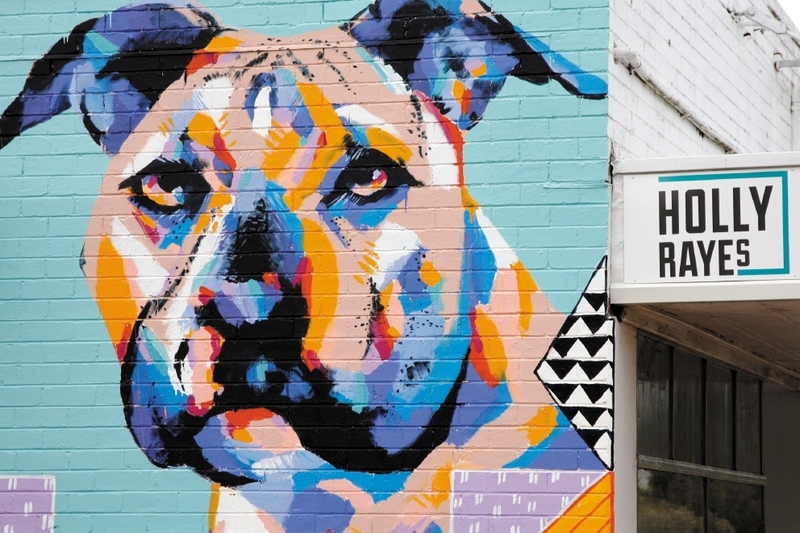 The mural was completed last week, coincidentally in time for International Dog Day on August 26. Mrs Irving quit her job of more than 10 years as a flight attendant to start her first business, with the help of her mum, sister and husband. She said she always loved to bake and had a passion for coffee. �I have been wanting to do this for a couple of years,� she said. Holly Raye�s is due to open this month.